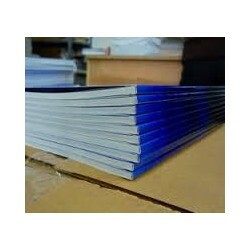 Perfect binding A-4 printed double sided standard on 100grs matt art paper. Optional other papertype for the content and optional covers. 20% Rated VAT.